Yet again we needed water and so we looked around for a campsite to fulfil our needs. It just happened to be the weekend, and the weather was predicted to be good, so all of the coastal campsites we tried were booked. I expect we’ll find this more as we head into July and August. 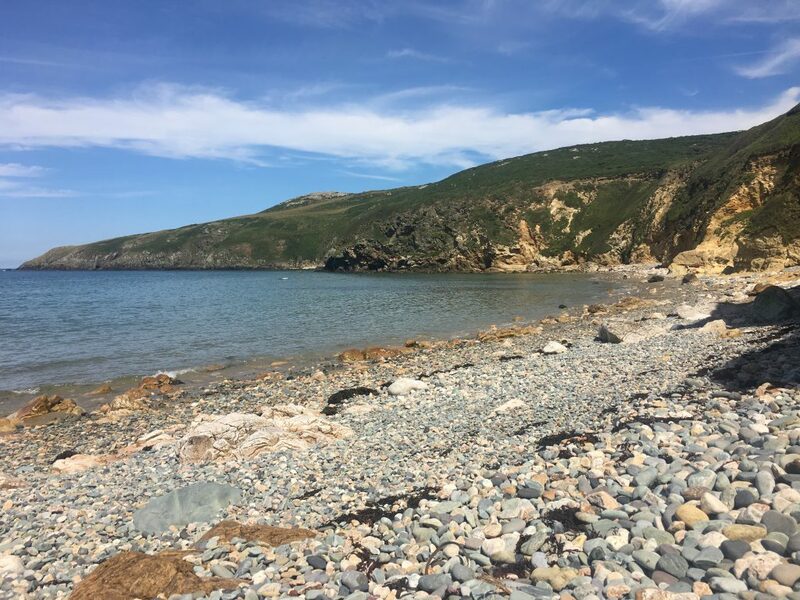 In the end we found a CL site inland which had availability and so we plumped for that one – we could always get on our bikes and go to the coast, it’s not like Anglesey is that big an island. 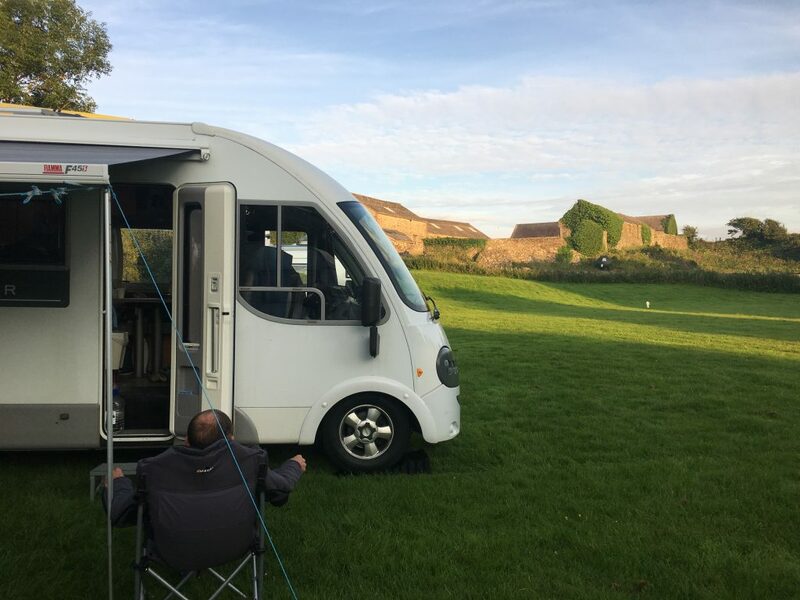 CL stands for Certified Location, and indicates a small campsite that is certified for a maximum of 5 pitches by the Caravan and Motorhome club, the landowner doesn’t require planning permission as they can be ‘Certified’ by the club. They are typically on farms or other private businesses that have a bit of spare land, and sometimes have grown to have more pitches that are not associated with the club. The idea of these sites is that you use the facilities in your van and so the cost of running the site is lower for the owner who doesn’t have to provide toilets, showers etc, so they usually offer little in the way of services apart from the basics; water, effluent disposal and sometimes electricity. The Caravanning and Camping club also have a similar scheme of Certified Sites (CS), as do some other clubs. The site we found was Bodnolwyn Wen, a pretty little field at the back of the owners house with pitches for 5 units and also three cute wooden self catering units. Because this was a cheaper site at £12 we decided to stay for a couple of nights to give ourselves the opportunity to enjoy the good weather. The problem with wild camping is that you don’t tend to indulge in ‘camping behaviour’ ie winding out the awning, getting the chairs and table out, and having a BBQ. And when the sun is shining it’s nice to do all of those things. So the awning was deployed and we indulged ourselves with a BBQ for tea. The owners dogs even helped with the washing up, the BBQ grill has never been so clean! While there, in between mooching around enjoying the sunshine, we cycled out to Church Bay on the west coast of Anglesey. This was a lovely little cove where I paddled, but sadly I hadn’t taken my swimming costume for a dip. On the way there we visited Melin Llynnon, Anglesey’s last working windmill. 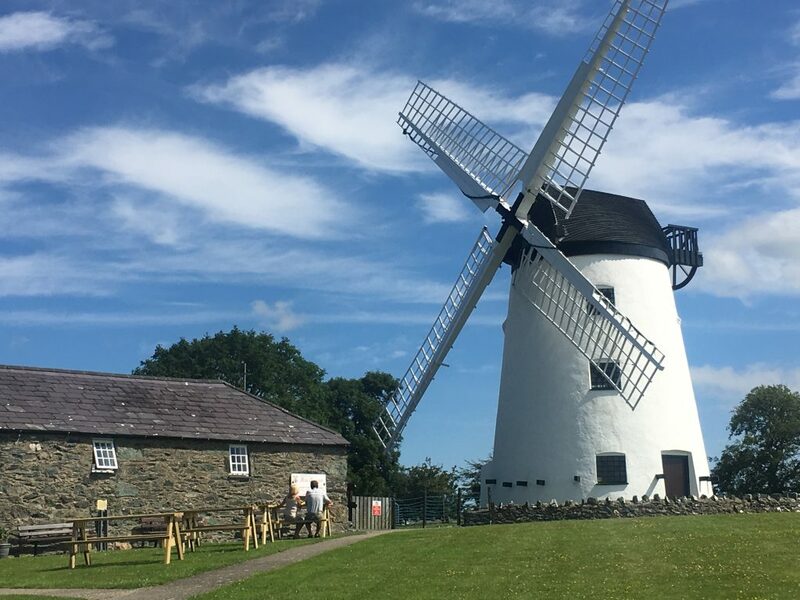 Anglesey is a fairly flat island, exposed to strong coastal winds, so it’s no surprise that there were windmills here – you can see the buildings in various states of repair across the island. This one has been restored and also has a nice little cafe. Sadly there was no wind that weekend so the sails weren’t turning Then we followed the coast southwards past more small coves before turning inland again back to the campsite.